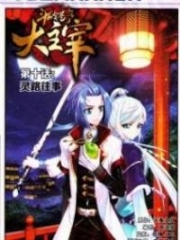 You’re reading novel The Demonic King Chases His Wife: The Rebellious Good-for-Nothing Miss Chapter 410 online at LightNovelFree.com. Please use the follow button to get notification about the latest chapter next time when you visit LightNovelFree.com. Use F11 button to read novel in full-screen(PC only). Drop by anytime you want to read free – fast – latest novel. It’s great if you could leave a comment, share your opinion about the new chapters, new novel with others on the internet. We’ll do our best to bring you the finest, latest novel everyday. Enjoy! Okay, this was absolutely a little traitor. Su Luo, half-believing and half-doubting, took out a cup of Celestial Spirit Water from her own s.p.a.ce. Without waiting for her to hold it steadily, the huge foolish tiger, in an instant, rushed towards her. Its huge body directly threw itself at her, Su Luo stumbled back a step, and Nangong Liuyun easily grabbed hold of her hand, stabilizing her. The cup in her hand swayed back and forth. Without waiting for the Celestial Spirit Water to be poured out, the huge foolish tiger had already swallowed whole the water along with the cup! It didn’t even bother to chew, with one mouthful, it swallowed everything cleanly and neatly. Without waiting for Su Luo to return to her senses, the huge foolish tiger once again enthusiastically threw itself at Su Luo. It extended its long and thick tongue to lick towards Su Luo’s face. Without any doubt, this was absolutely the huge foolish tiger’s way of showing its enthusiasm towards humans. However, Su Luo was really unable to bear this kind of enthusiastic manner. She raised her hands in surrender and took out another cup of water to pour into its wide open mouth, to block its affectionate manner towards her. It was not because Su Luo was unwilling to part with some Celestial Spirit Water, it was really because this huge foolish tiger was not easy to wait upon. If she directly gave it a wooden bucket of Celestial Spirit Water, then it absolutely would still be unsatisfied. When the time came, she still wouldn’t be able to leave. Therefore, from the beginning, the basic amount must be small, this way, it would not be difficult for her to increase it. Sure enough, the huge foolish tiger once again drank the cup of Celestial Spirit Water very blissfully. Then, it once again pretended to be pitiful as it looked at Su Luo. “Awoo——” The huge foolish tiger was unreconciled and once again rushed over to show Su Luo various kinds of enthusiasm. Su Luo helplessly closed her eyes and held her breath, suffering various kinds of ravages from it. If it demanded the water, and she give it, this certainly meant that she had a lot of Celestial Spirit Water, then today, she absolutely wouldn’t be able to leave. Therefore, Su Luo decided not to indulge its little temper. As expected, no matter how enthusiastic it was, Su Luo merely frowned with her eyes closed and did not respond. After quite a while, the huge foolish tiger finally released Su Luo. It walked to the side with a pitiful expression, squatted down in the corner, and occasionally would cast Su Luo a glance of feeling wronged. Su Luo’s brain conjured the image of Nangong Liuyun being affectionately kissed by the huge foolish tiger, and suddenly, she uttered a ‘pfft’ laughing sound. Seeing that Amethyst Crystal Fish still being held in the huge foolish tiger’s paw, Su Luo thought about it, then she took out a very small wooden bucket. She carried the wooden bucket to arrive in front of the huge foolish tiger, indicating to exchange this bucket full of Celestial Spirit Water for the Amethyst Crystal Fish. The huge foolish tiger looked at the Amethyst Crystal Fish, and then looked again at the wooden bucket. It somewhat stupidly scratched its head, having a really hard time choosing. The two-faced, deceitful Su Luo was well-versed in the ways of haggling over price. She pulled at Nangong Liuyun, pretending to walk away, and the huge foolish tiger that had merely grown a large head, was suddenly taken in by this deceit. It dashed towards her while roaring ‘awoo, awoo’. It handed over the Amethyst Crystal Fish to Su Luo, and with a huge claw, clasped the little wooden bucket to place it in front of Su Luo. A smiling expression of having prevailed flashed through Su Luo’s eyes. With the raise of a hand, a stream of water shot out like an arrow. In a short time, it filled the little wooden bucket completely. Seeing the leaving backs of Su Luo and her people, the huge foolish tiger somewhat stupidly scratched its head. 1) Didn’t even need to fight to cause the surrender of the opponent: Is a strategy from the ancient Chinese text called the Art of War by Sun Wu, an ancient Chinese military strategist. If there is a better English translation for this strategy please let me know…I loosely translated it almost word by word. You're reading novel The Demonic King Chases His Wife: The Rebellious Good-for-Nothing Miss Chapter 410 online at LightNovelFree.com. You can use the follow function to bookmark your favorite novel ( Only for registered users ). If you find any errors ( broken links, can't load photos, etc.. ), Please let us know so we can fix it as soon as possible. And when you start a conversation or debate about a certain topic with other people, please do not offend them just because you don't like their opinions. You're reading The Demonic King Chases His Wife: The Rebellious Good-for-Nothing Miss Chapter 410. This novel has been translated by Updating. Author: Su Xiao Nuan,苏小暖 already has 12945 views. Current Time is Apr-19-2019 17:14:22 PM.